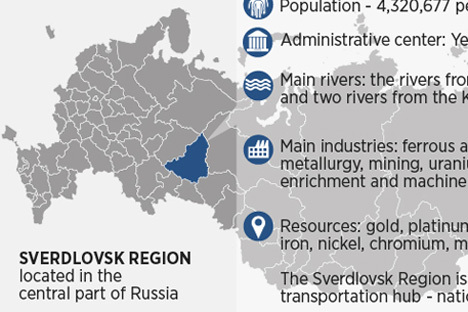 The Sverdlovsk Region is attracting investors thanks to its special economic zones. One of these, Titanovaya Dolina, is relatively young: It was founded only in 2012. Now the project is being actively developed, and it has attracted its first American investors, with more from Japan and France also ready to join. Titanovaya Dolina's General Director Artemy Kyzlasov told RBTH how the U.S. and EU sanctions have affected the project. The Titanovaya Dolina special economic zone's residents currently includes the American [company] Praxair. The Azerbaijan AS-Group is also preparing to become a resident. Agreements of intent to realize projects in the zone have been signed with MHIEC (Japan) and Figeac Aero (France), and negotiations are being held with Boeing (U.S.), Kennametal (U.S.), Minicut International (Canada), Ruukki Rus (formerly a Finnish company, it became Swedish after a merger with SSAB) and others. Obviously the unstable economic and political situation in the world has had an impact on the process and nature of the negotiation process. Negotiations with our partners have been delayed, discussions have left the public dimension and entered a closed one, but they haven't stopped. The thing is that a substantial part of the companies with whom we are discussing collaboration are large companies that are in one way or another linked to the titanium market. This is a long-term market. It has a durable production cycle. Planning here is made not for the next 5-10 years, but often for a much longer period. For example, during the Farnborough 2014 Airshow [outside London –RBTH], a trilateral memorandum was signed between the French [company] Figeac Aero and the Russian titanium [producer] VSMPO-AVISMA Corporation, within the framework of the Titanovaya Dolina special economic zone. The Mitsubishi Heavy Industries Environmental & Chemical Engineering Co. Ltd wishes to introduce Japanese technologies in Russia for processing municipal solid waste. And one of the enterprises that will produce the equipment for such plants will be located in our special economic zone. Artemy Kyzlasov is General Director of the Titanovaya Dolina Special Economic Zone. Titanovaya Dolina is an industrial-productive enterprise. It operates in the aerospace industry and specializes in titanium products, machine construction (the manufacturing of production technology, component manufacturing), and construction materials.